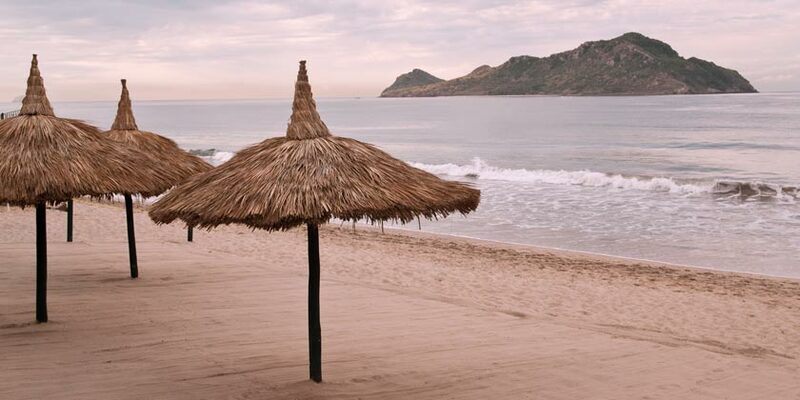 Located just east of the Baja California, Mazatlan boasts some of the most beautiful beaches in Mexico. Whether you want to surf, paddleboard or kick back with a good book, you'll find true bliss on Playa Olas Altas, Playa Los Pinos and Playa Bruja. Love seafood? Mazatlan makes its mark with a variety of fresh catches daily. It's a culinary delight that pairs perfectly with a sun-and-sand afternoon. And if you ever want a break from the beach, try Las Labradas, an outdoor museum of archaeological carvings and sculptures celebrating 1,500 years of history. Paradise is waiting. Book your next vacation with United Vacations® today. Start the adventure with a 90 minute catamaran boat ride to Adventure Island complete with music, the wind in your face and an open bar. This entertaining tour brings you to some of Mazatlan's most popular attractions. Travel to the picturesque ancient mining villages of Concordia and Copala for an entertaining afternoon of sightseeing and fun. This canopy adventure is located in the foothills of the Sierra Madre mountains. Resort info: This charming all-suite resort provides the perfect blend of relaxation and fun ideal for golf enthusiasts and families with children. Resort info: Offering a one of a kind architecture style, with 60 years of tradition in Service, Playa Mazatlan Beach Hotel is truly the crown jewel of the Golden Zone, the main tourist area. Resort info: This quality budget property offers basic accommodations with beautiful views of the ocean mountains. Resort info: Fronting Mazatlan's bustling Gold Coast, active travelers, families and budget travelers alike will enjoy stays at this modest Mexican getaway.